Nailing Problems – Typical nailing problems include exposed nails, under-driven nails, high nails and over-driven nails. These mistakes greatly increase the risk of moisture infiltration in a commercial roofing system. Water can easily enter through the gaps left by improper nailing and damage the roof. Low-Slope Installation Mistakes – A flat roof might look flat, but it actually has an imperceptible slope that’s very important in preventing leaks. 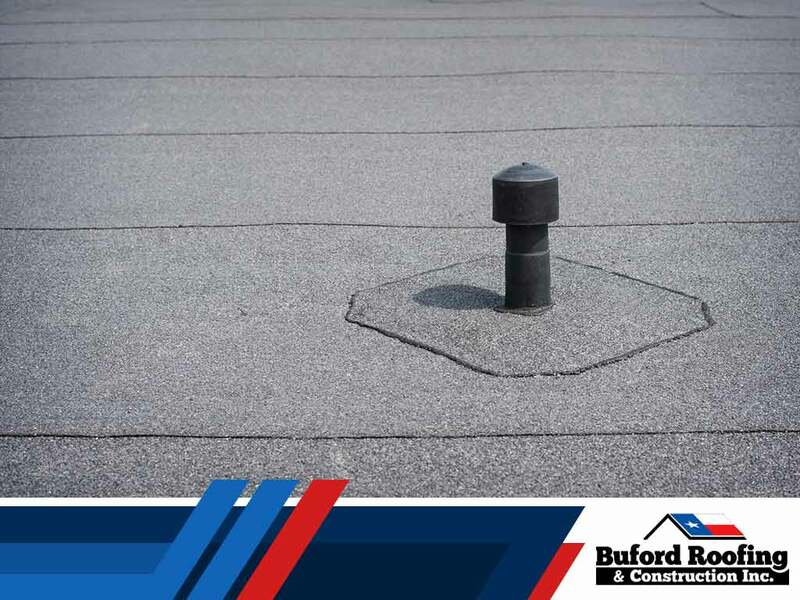 You should hire an expert commercial roofing company like Buford Roofing to ensure your new commercial roof has the right slope. Lack of Leak Barrier – A leak barrier provides extra protection for areas with nail and fastener perforations. It also needs to be present near vertical walls, vents, skylights and other roof penetrations. Missing Drip Edge – The drip edge is another critical component for preventing roof leaks. It creates a finished look at the edge of the roof and prevents water from entering through this vulnerable area. Using Non-Compatible Materials – Using plastic cement on single-ply membranes is a common mistake that reveals a contractor’s lack of knowledge and experience. Using non-compatible materials can damage the commercial roofing system. In addition to commercial roofing, we can also help you with residential roofing, siding installation, attic ventilation and more. We are a family business that’s committed to providing our customers with the best services possible. We focus on building long-lasting relationships and earning our customers’ trust and respect. Call us at (817) 754-6555 to learn more about our services and products or to get a free quote. We serve Dallas, TX, and nearby areas.